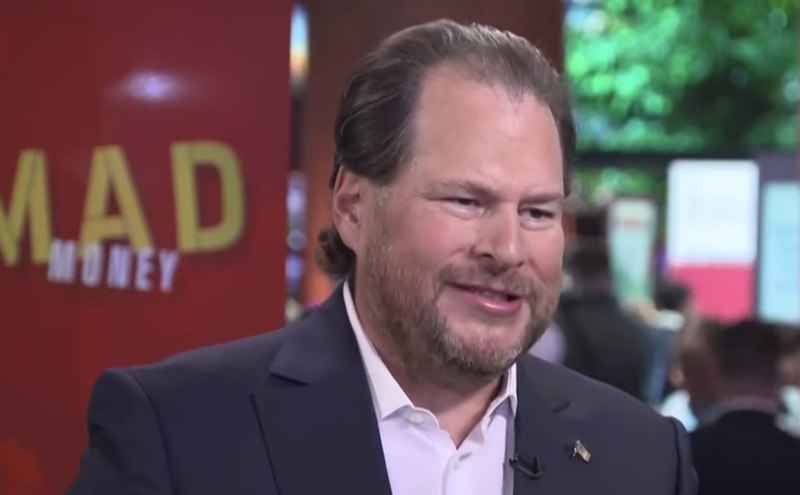 Salesforce Co-founder & CEO Marc Benioff announced at the Dreamforce conference a new partnership with Marriott that is going to bring the power of artificial intelligence into the hotel room via a phone app. This new Marriott app will connect directly with a Salesforce Einstein powered customer database that knows the customer’s preferences and will be accessible via Siri and other voice recognition platforms. Every company has to rethink who they are in the fourth industrial revolution. This includes Marriott, that’s why Arne Sorenson is here, the CEO of Marriott, and you are going to see in the keynote a whole new vision for the future of Marriott. All the technology, everything they need to do to connect with their customer in a whole new way via Salesforce. That includes the ability to check into a Marriott with your digital key right on your phone, and then the ability to talk to Siri and order your favorite sandwich. In the Salesforce customer database, we will know you want a turkey sandwich and we are going to bring it to your room. Then if you tell Siri to lower the lights and put the room temperature to 67 degrees the lights go down and the temperature adjusts. How does it know, where does it get all the data, how does it have the customer background, it comes from Salesforce, we’re the backend. This is what the conference is about, helping these incredible people, our trailblazers, know how to build these systems. We had to build something amazing first. This isn’t voice recognition that we did. We had to build something called Salesforce Einstein, the number one artificial intelligence platform in enterprise applications. We now are doing billions of Einstein transactions every day giving the ability for our customers to radically use artificial intelligence to make them more productive and smarter about their customers. We are connecting Einstein to Siri or Einstein to any other voice platform, then we take that voice recognition and we are able to move it to the database. Don’t forget, when I say I want my favorite sandwich, Siri knows what I’m saying with my voice, but then we have to take that and retrieve it or insert into the customer database. That’s the magic, that’s Einstein Voice, it is the glue, the middleware that links all the voice systems that you are using in your home and your phone with the number one CRM in the world Salesforce. The economy is ripping. There is incredible demand from customers to rebuild their systems, they’re benefitting from the tax breaks, they are benefitting from a huge economy that is growing at rates they’ve never seen before. Even here in San Francisco, our unemployment now is below 3 percent. That’s amazing!